What is Dulles airport named after? The Washington Dulles International Airport is named after John Foster Dulles who was the Secretary of State from 1953-1959. How much is parking at Dulles Airport? The rate attached to the economy parking lot $10 per day i.e. for the period of 24 hours. There are no hourly rates attached to it. As a customer, you need to take the parking tickets with you and use the Pay & Go machines located in the terminals to pre-pay before returning to the lot. How early do I need to arrive at Dulles for an international flight? Generally, passengers are advised to arrive at the airport 1 ½ to 2 hours in case of the domestic flight and in the case of the international flights, one need to arrive 2 ½ to 3 hours prior to flight time with the photo identification and an airline boarding pass. If you are traveling outside the US, then prefer to take your passport with you. Can Washington Flyer Taxi provide transportation from my hotel to downtown D.C.? No, there is no such service provided to the passengers. The Washington Flyer Taxi is exclusive to Washington Dulles International Airport and can only provide transportation to and from the Airport. When was Dulles airport opened? The Washington Dulles International Airport was dedicated by President John F. Kennedy on November 17, 1962. 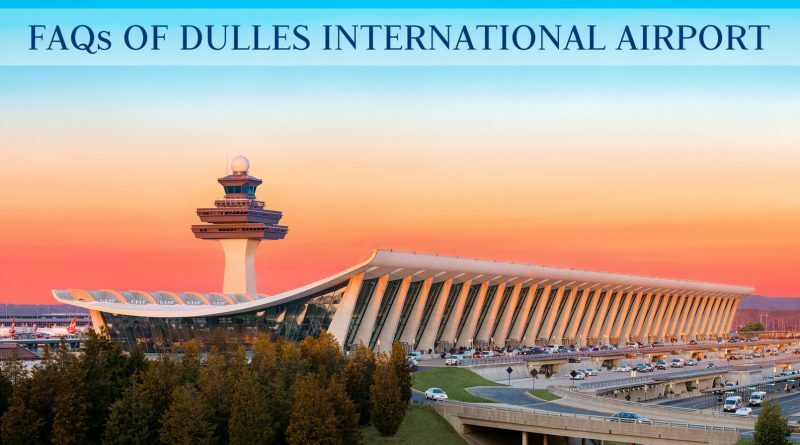 When it was opened, the airport had three runways and its original name was Dulles International Airport which was changed in 1984 to Washington Dulles International Airport.